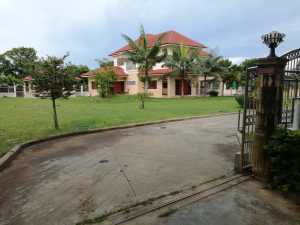 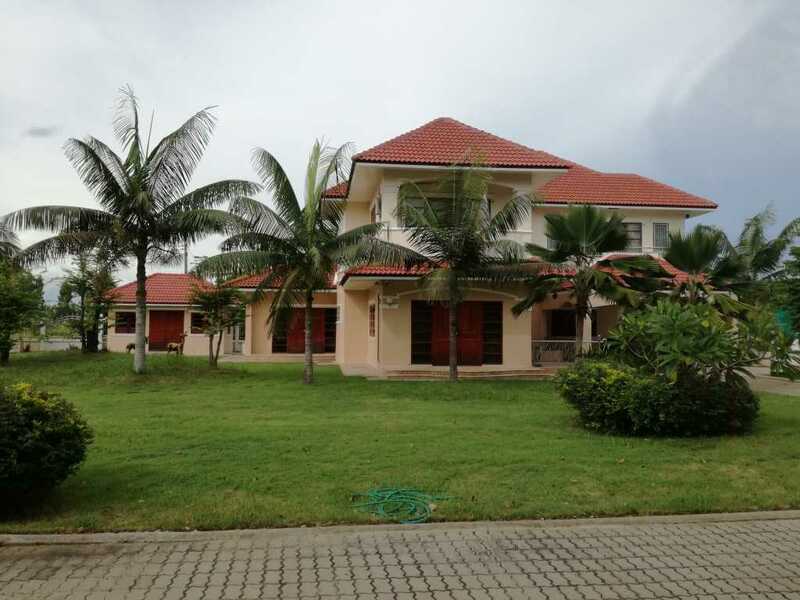 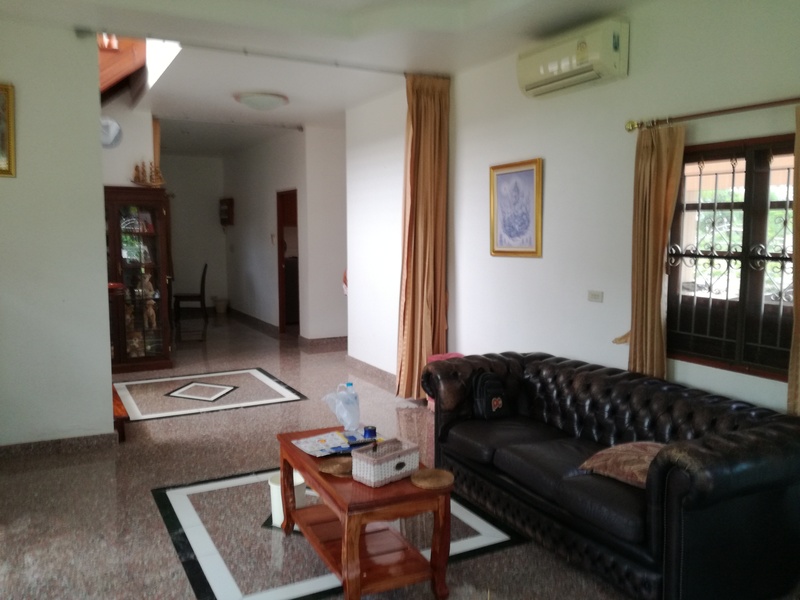 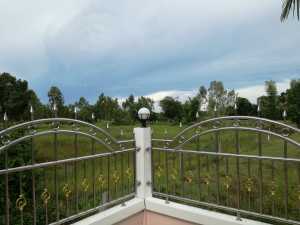 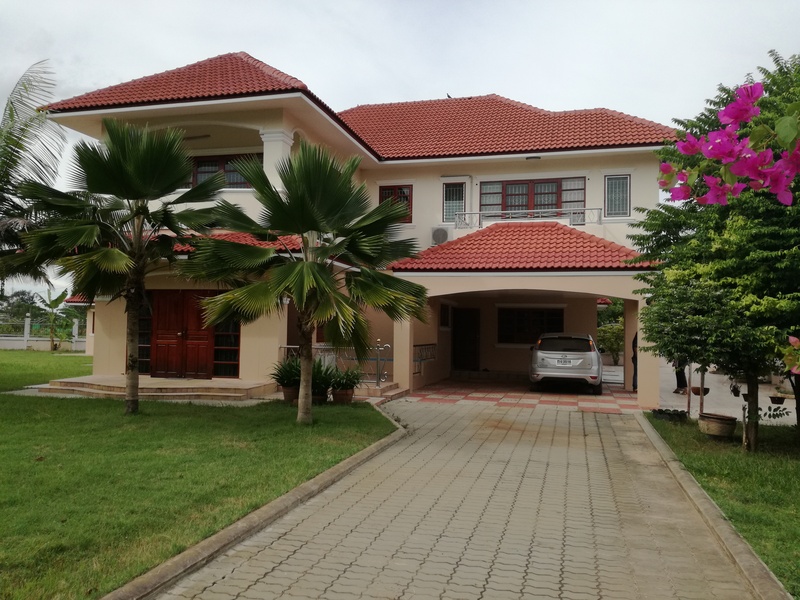 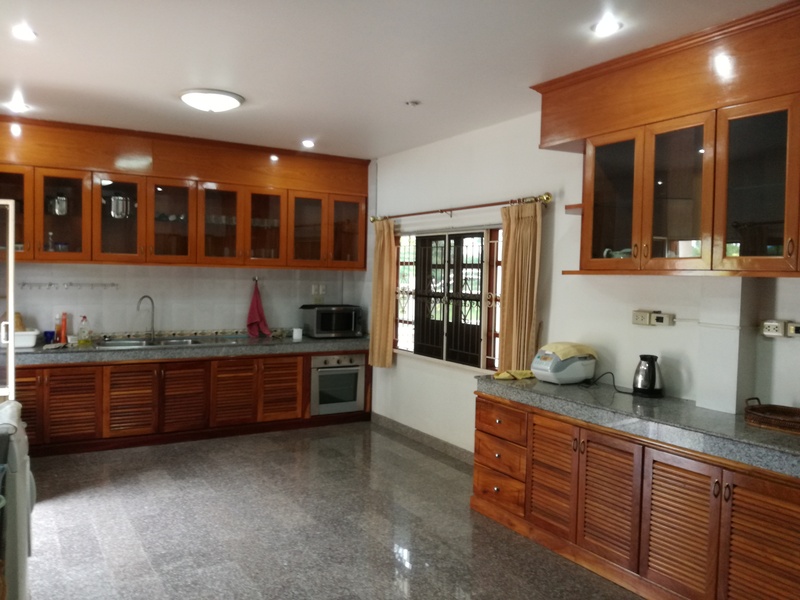 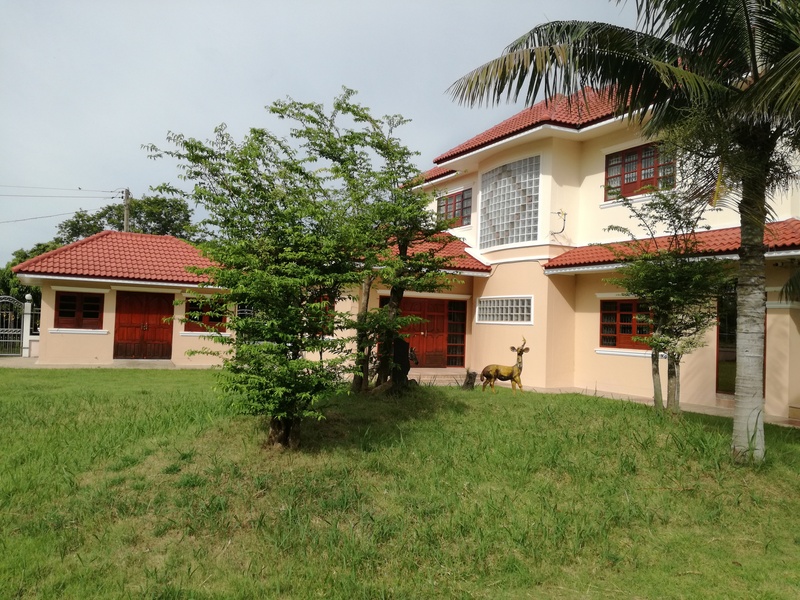 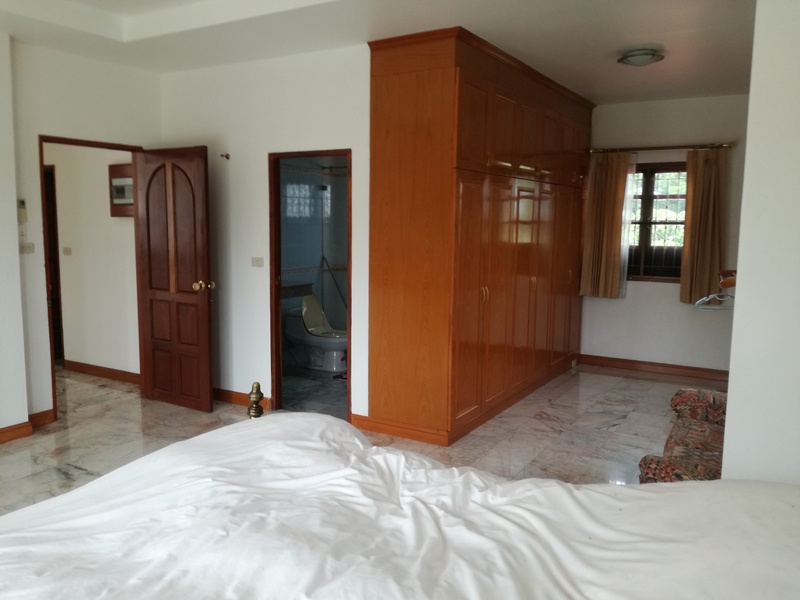 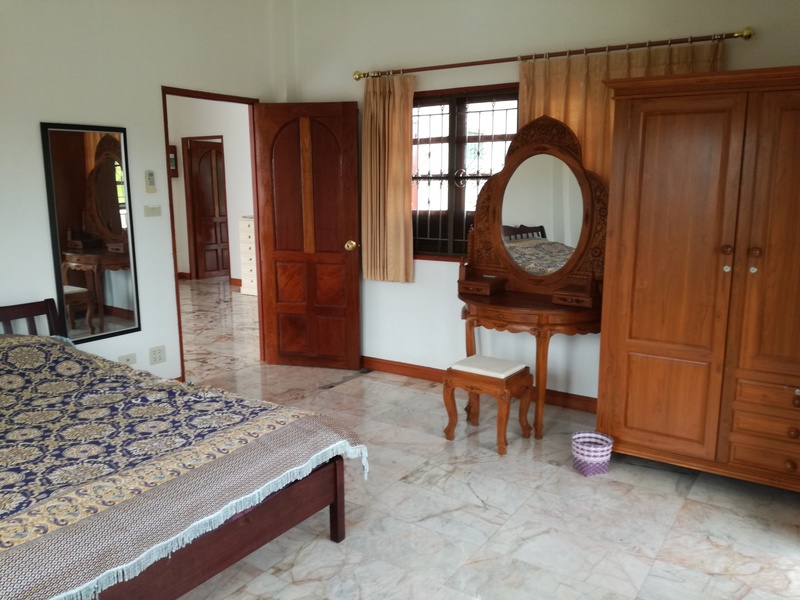 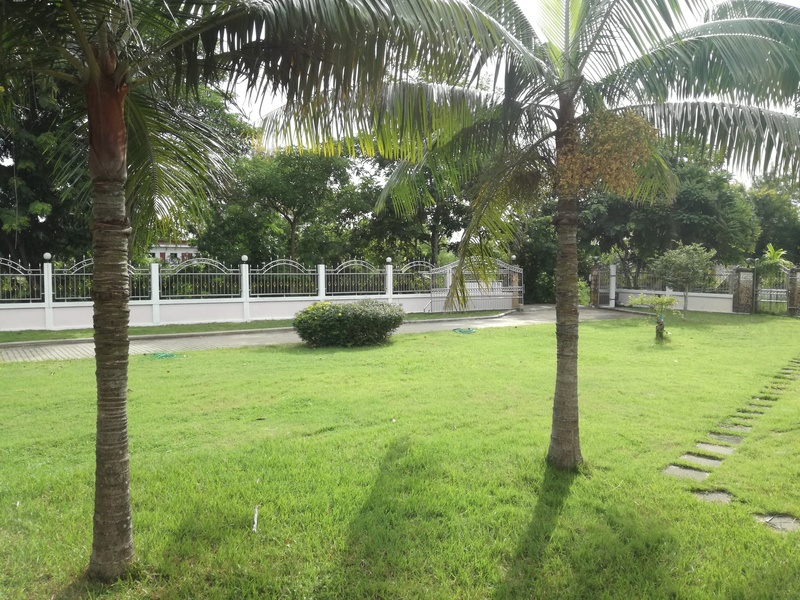 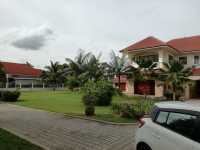 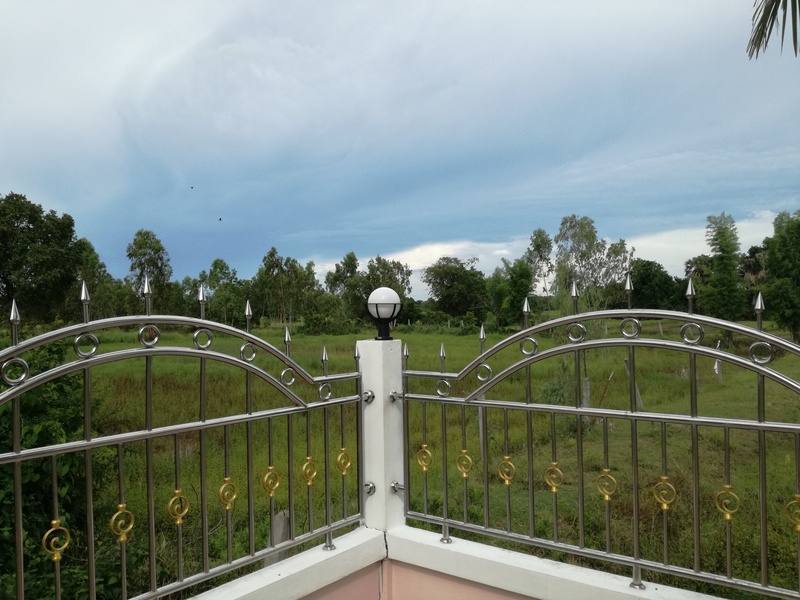 Description: This property is situated 5 kilometers from the Centre of Surin and just a few hundred meters from the ring road, in a quiet rural environment. 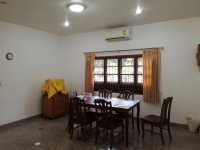 The house with a covered floor area of 230 sq. 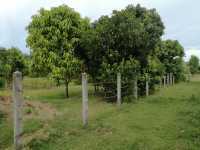 meters, is built on 1 Rai and 48 Talang Wah (1792 square meters). 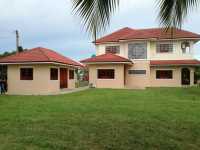 There is a separated garden house and the plot has a perimeter wall with an automatic stainless steel gate. The carport has enough space for at least two cars. Accommodation: The ground floor consists of a large living and dining room, both with air-conditioning. It has a very spacious Western-style kitchen with a gas hob and hood extractor, an oven, a microwave, a washing machine and all the necessary kitchen supplies. 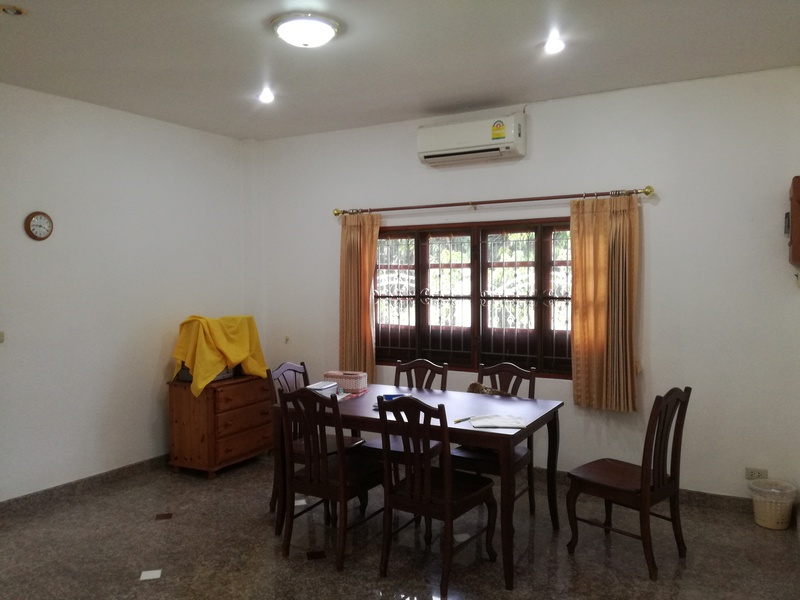 Further you can find a family bathroom and another room with air-conditioning which would be ideal as an office or fitness room. 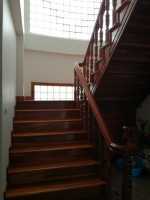 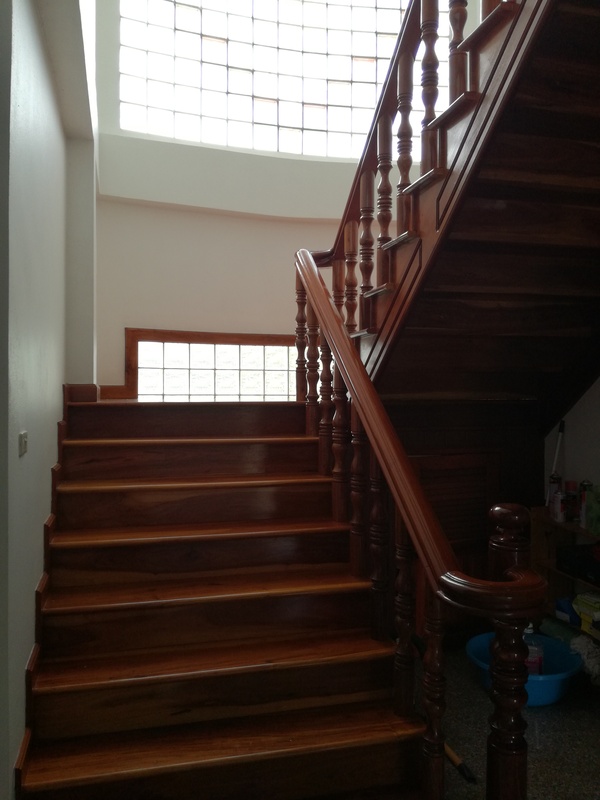 A beautiful wooden staircase brings you up to one bathroom and three bedrooms, all with air-conditioning. 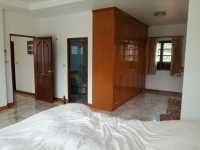 The master bedroom has its own En-suite bathroom. 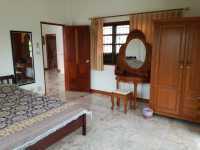 Two bedrooms have a terrace with beautiful views. Behind the house is another plot of 1 Rai and 48 T. Wah, with a lake of approximately 400 sq. meters which is included in the purchase. 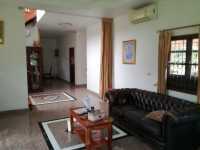 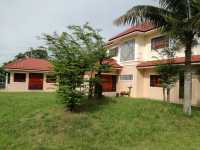 This is a very luxurious and attractive property with furniture, in a perfect location.